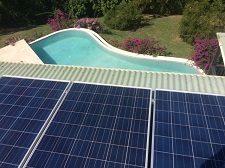 We DESIGN, supply and install solar systems to suit your requirements. We also provide grid-tie, off-grid and hybrid PV systems for residential and commercial applications. OUR SERVICE, prompt and professional, from design to Government submission, installation to completion and commissioning. AFTER-SALES SERVICE: Periodic or as-required, maintenance or repair of equipment, during and after warranty period. COST: We offer the very best solar systems at competitive prices and only use high quality brand-name solar components. Alternative energy systems offer an excellent return on your investment, typical returns start at 18 months to 40 months, in monetary terms over 20% interest. SAVINGS: Based on 1kW installed solar capacity, an average yield of 2,000kWh can be generated per annum. WARRANTY: We only use high grade solar components and installation fittings, product warranties are factory extended and vary from 6 to 25 years. 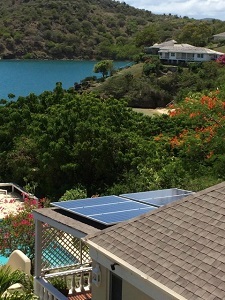 New Energy is SEI-certified and provides alternative energy solutions to Antigua & Barbuda and the Caribbean. 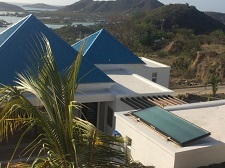 New Energy has been in business for more than 5 years, with Caribbean experience over 30 years. We are a distributor of Alternate Energy Technologies products. Ready to get started? Have questions or would you like to request an estimate? Click here to contact us.